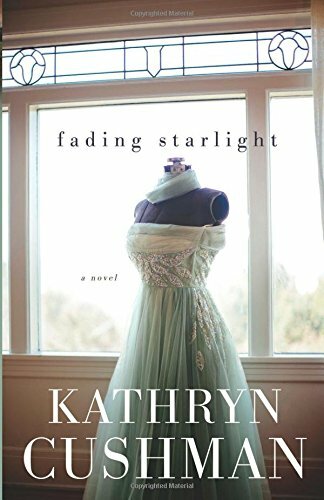 When I read the synopsis of "Fading Starlight" by Kathryn Cushman, I was instantly drawn to the part of old Hollywood. I am a huge fan of all things all old Hollywood. I love the stories of the stars & the look of that period of the Golden Age. So I was pleased when Cushman uses actual movie stars & places in the story. It made it feel so much more real, rather that some made up place full of nobodies. The story is about an up & coming young fashion designer named Lauren Summers. Her career is completely damaged by some unfortunate, out of her control events. Thankfully she finds refuge in a secluded neighborhood to heal her wounds. But little does she know just how much her life is about to change because of the infamous , reclusive neighbor, Charlotte Montgomery. This is story about restoration, hope & never giving up on your dreams. I enjoyed this book, but I do wish that there have been a bit more depth with the characters, I especially wanted to know more about Charlotte & her former life. I received a copy of the book from Bethany House for my honest review.